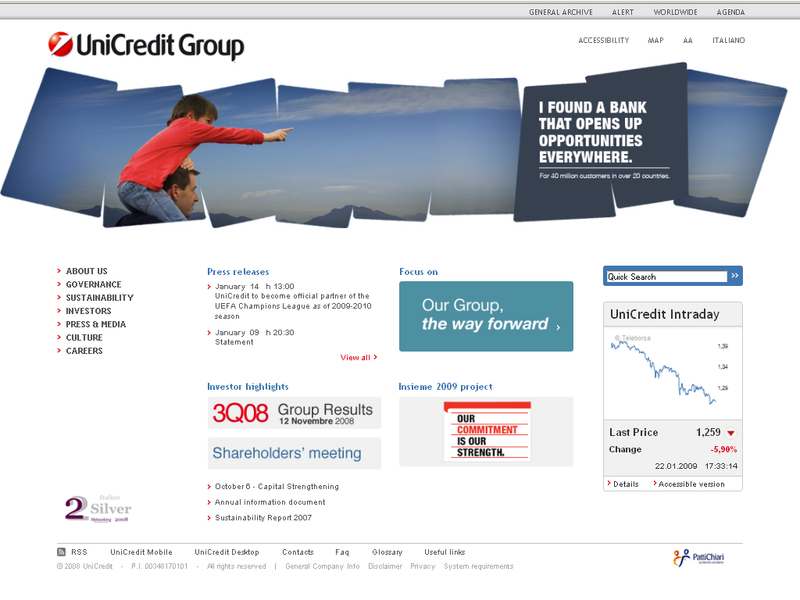 I am here to announce the roll out of the new UniCredit Holding Site. 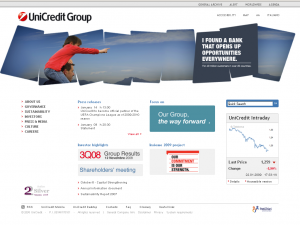 UniCredit is a worldwide bank with over 40 millions customers. I had an active part on the story, being on the TLO (Technical Leaders Office) of the project. The project was scattered on different sites: on Italy we have two offices (Milan & Treviso), and one major site on Poland (Lodz). I have been the Team Leaders at the Milan office. It was a very pleasant experience, also because I have the opportunity to work for an international project. Widgets: the multimedia box & the agenda are one of the most advanced ajax widget out of there. Searches are backed up by a powerful Google Search Appliance (GSA). From a software point of view, the site offers unbeatable performance, for the site of one of the first Banks of the Euorpe. Last but not least, you can experience similar features on Gioorgi.com too.